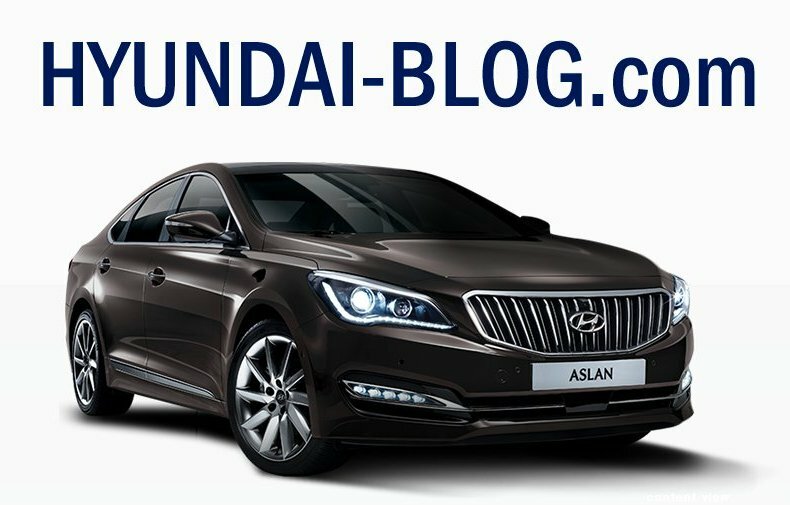 Hyundai has introduced a brand-new luxury sedan, called Aslan, in South Korea! Positioned in-between the top-selling Sonata and the Genesis sedans, the front-wheel-drive Hyundai Aslan is expected to hit the Korean Hyundai dealership stores already this month. 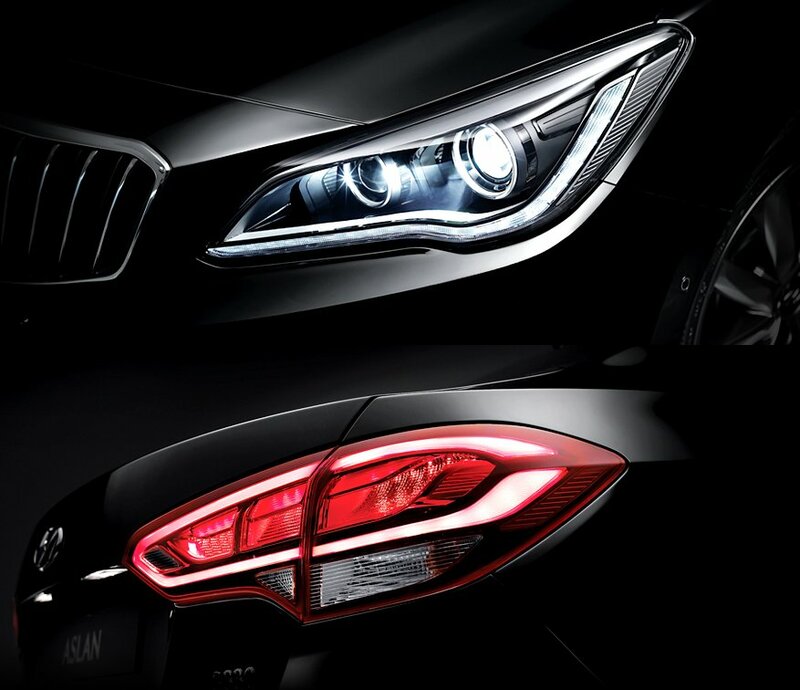 According to Korean automobile media, the Aslan is expected to compete against the vehicles such as the Lexus ES350, Nissan Maxima and Audi A6. Hyundai Motor Company plans to sell some 6,000 units of the Aslan sedan (in Korea) this year and more than 22,000 units during the year of 2015. Initially, the Aslan will only be sold in South Korea, however, there has been a lot of interest in the car among dealers worldwide. In particular, the Chinese Hyundai dealers have shown a very high interest in the sedan, therefore Hyundai has also been considering to start exporting the vehicle to some larger markets in Asia. Hyundai Aslan is built upon the same platform as the well-known Grandeur premium sedan. The vehicle, however, features vast improvements in noise, vibration and harshness reduction, thanks in large part to the large usage of the latest sound insulation technologies. Furthermore, the carmaker’s engineers have further improved the ride and comfort in order to provide an even more premium feel of the whole package (car). In regards to engines, the new Aslan offers a choice of two V6 engines, including the 3,0L and 3,3L units, generating 270 and 294 horsepower, respectively. Both engines are mated to the 6-speed automatic gearbox. Safety-wise, the car comes fitted with nothing less than 9 airbags and a wide range of other passive and active safety features. Those include advanced smart cruise control, forward collision warning system, lane departure warning with steering wheel vibration blind-spot detection and tire pressure monitoring system. Apart from safety features, the new Hyundai Aslan also offers a plethora of other luxury features, including the head-up display -HUD, Nappa leather seats that can also be cooled, automatic rear window shades, premium Lexicon audio system, touch-screen display with built-in navigation, rear parking cameras, self parking assist and a carbon dioxide sensor in the cabin. 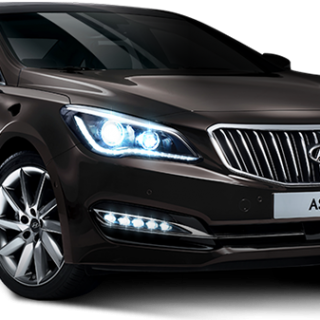 In the home Korean market, the Aslan will be offered in three trim levels, the Modern, Premium and Exclusive, with prices ranging from $38,000 to $40,000. Why Hyundai Launched The Aslan? According to their in-house research, a large number of Hyundai customers who previously owned Sonata or Grandeur sedans have chosen German luxury brands as their next step-up cars. This was something that hurt the brand so much, so they developed the Aslan in a hoppe to lure back those customers!